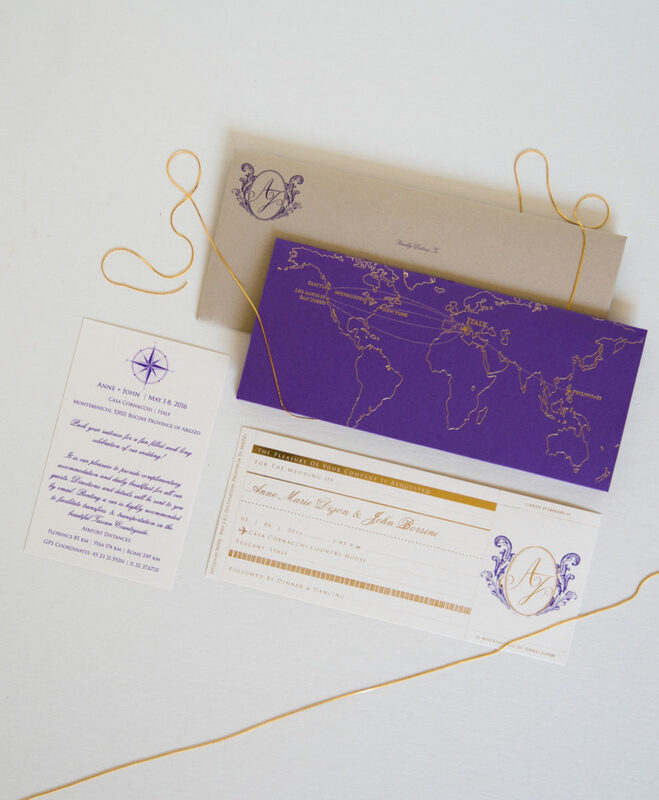 Evoke the glimmering allure of travel with this invitation perfect for a destination wedding. 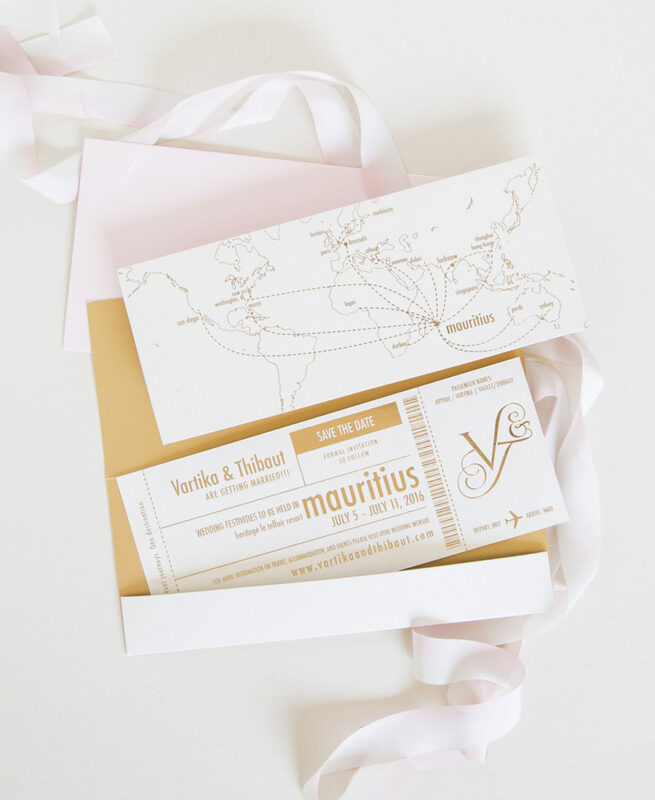 The map can be foil- or letter-pressed and is customizable to your coordinates. Enclosure is modeled on your choice of a vintage or modern boarding pass. A playful and elegant way to draw your guests into the exhilaration of the journey towards your wedding day. 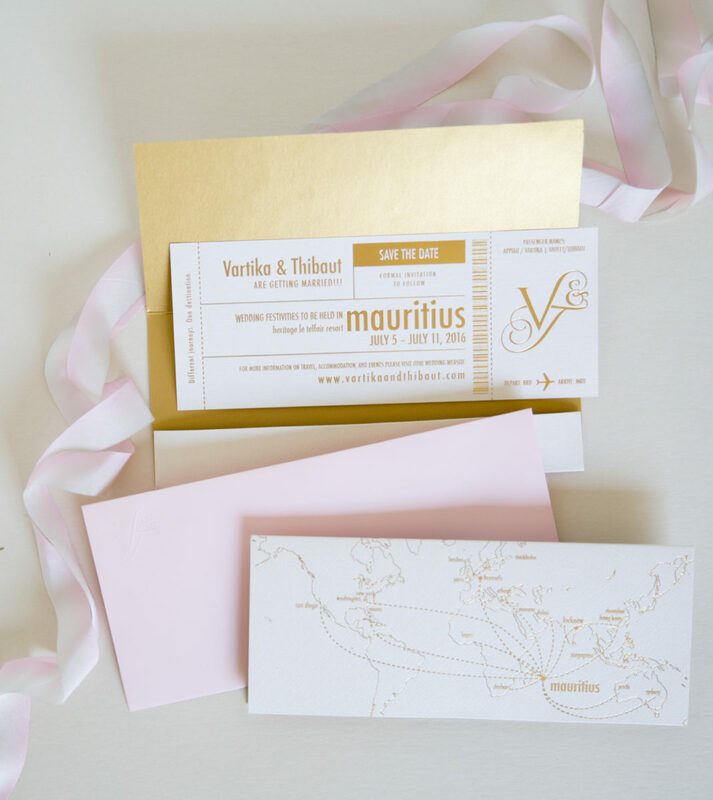 Shown as a Save-The-Date in blush, gold and ivory with an embossed monogram for Brussels-based couple, Vartika & Thibault who were married at Château de Bel-ombre, le Telfair Resort in Mauritius. Shown as a Save-The-Date in silver, black and white for Nikki and Malik who were married at the Paradisus Palma Real in Punta Cana Dominican Republic. 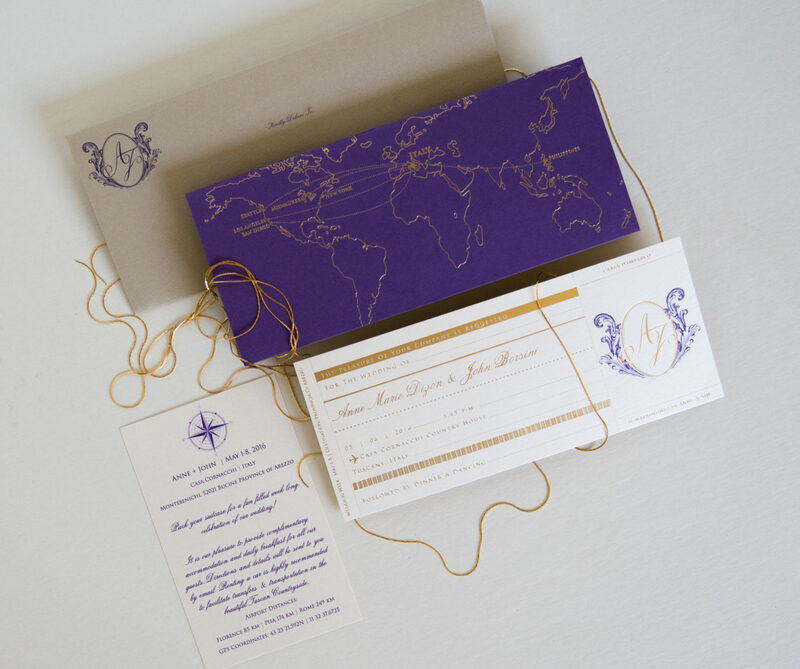 And for John & Anne in violet, gold and Ivory as a wedding invitation, who were married at the Casa Cornacchi Country House in Tuscany, Italy.